Boy, do we have some exciting news for you: our pre-ICO has gone live! Ready for purchase, you can use Bountie Tokens on our platform and Get Paid to Play! As you guys already know, our mission is to empower everyday gamers to make a living playing their favourite games. So, create your wallet, enter a tournament and stand a chance to win 95% of the prize pool. Our ICO ends on the 7th of November, so be sure to buy your Bountie Tokens before they sell out! As the first gaming platform in Asia to offer crypto-prizes in exchange for tournament creation and wins, Bountie aims to elevate the lifestyle of gamers everywhere. We have worked extra hard to create a product that will revolutionise the eSports ecosystem as we currently know it. By utilising blockchain, we intend to establish a ‘LinkedIn for gamers’: an interconnected network of exclusive gamer profiles which publically showcase one’s rankings, stats and earnings across all games with high data integrity and accuracy. We want to bridge the gap between gamers, organisers, partners and merchants across Asia. 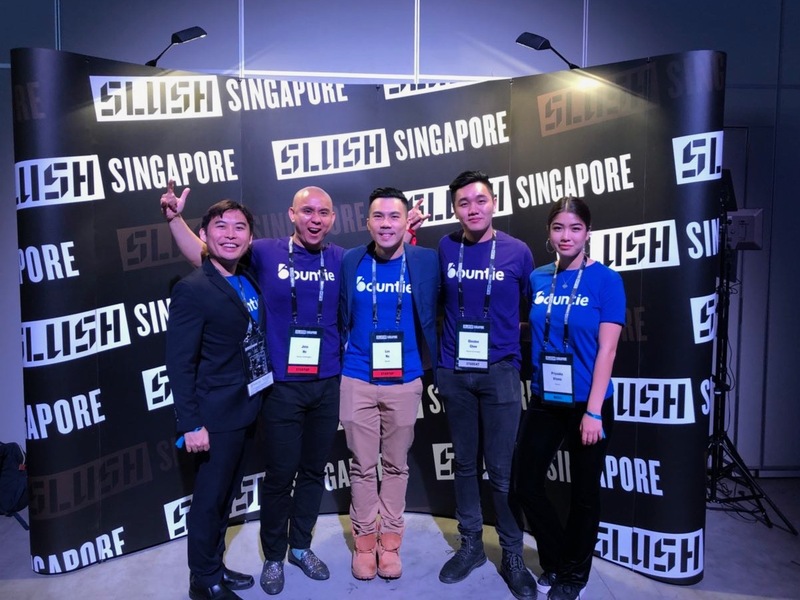 Last week, the world’s leading startup event, Slush, came back to Singapore for the fourth year in a row. Originally founded in Helsinki, Finland, Slush is a student-driven, non-profit movement that endeavours to change attitudes toward entrepreneurship. In Singapore alone, there were 3,000 attendees, 360 startups, 250 investors and 120 journalists present at the 2017 event. You’d better believe that this year’s was even bigger! Influential entrepreneurs – such as Twitch’s Co-Founder, Kevin Lin – were invited to speak about their professional experiences and provide insight into what it takes to achieve success in this increasingly competitive field. 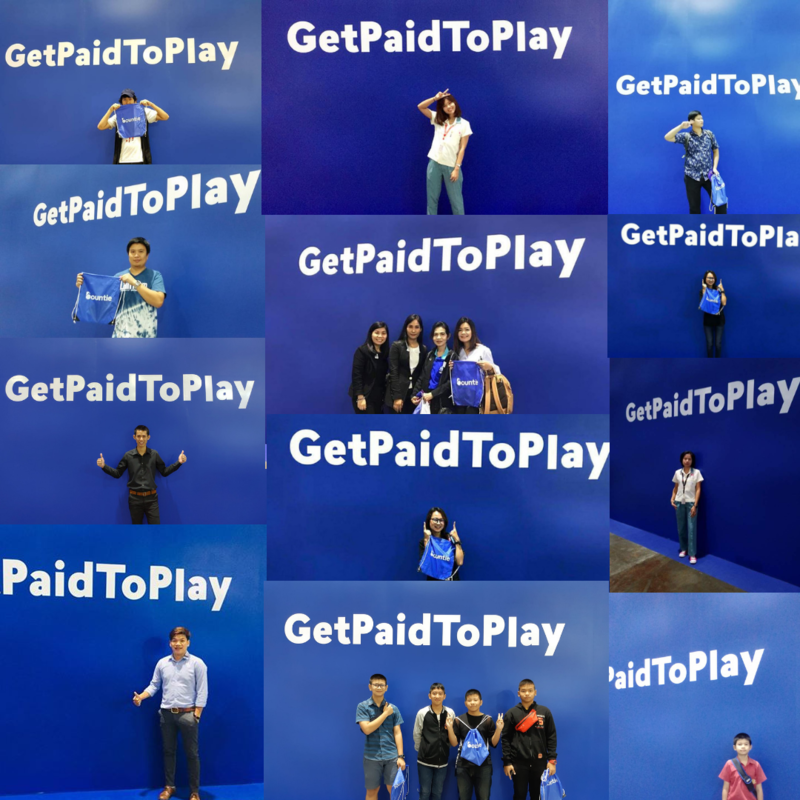 At our booth, we offered all curious parties the chance to sign up early for our platform and experience what it would be like to Get Paid to Play! 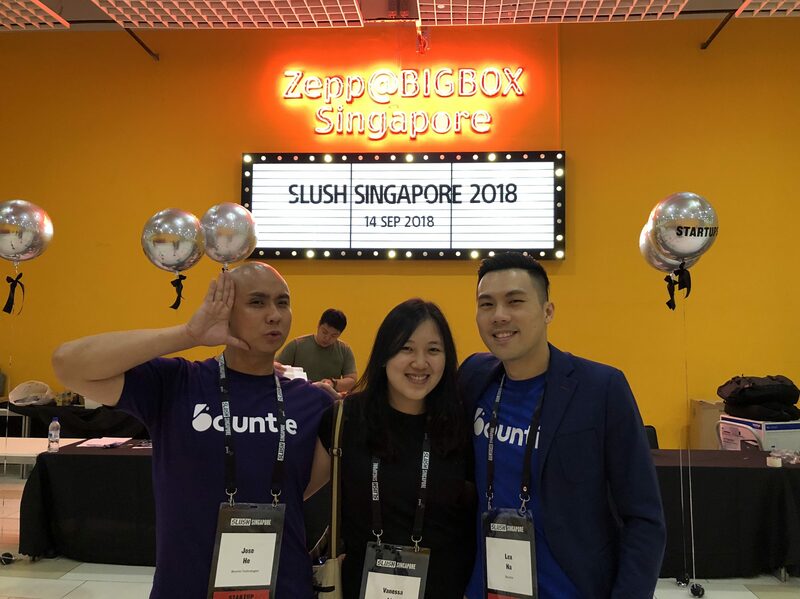 The aim of the game was to make connections with other startups and encourage potential investors to put their trust in Bountie. We had so much fun participating in Slush and cannot wait to go again next year! In other news, Bountie has gone to Thailand! From 19-23 September, Bountie is participating in Digital Thailand Big Bang 2018 in Bangkok. An enormous event analysing the state of Big Data in Asia, we feel extremely honoured to be able to take part in it. Even Thailand’s Prime Minister, Prayut Chan-o-cha, came down to give the opening speech! Our Business Development and Marketing Teams have worked incredibly hard over the last few months to create an experience you will never forget. More than just speeches, Bountie has organised show matches with IDNS, a mini Mobile Legends tournament with Moonton, and other activities attendees can take part in. There are so many prizes to be won! The stage looks incredible and is drawing in huge crowds of both children and adults alike. The traffic has been phenomenal! 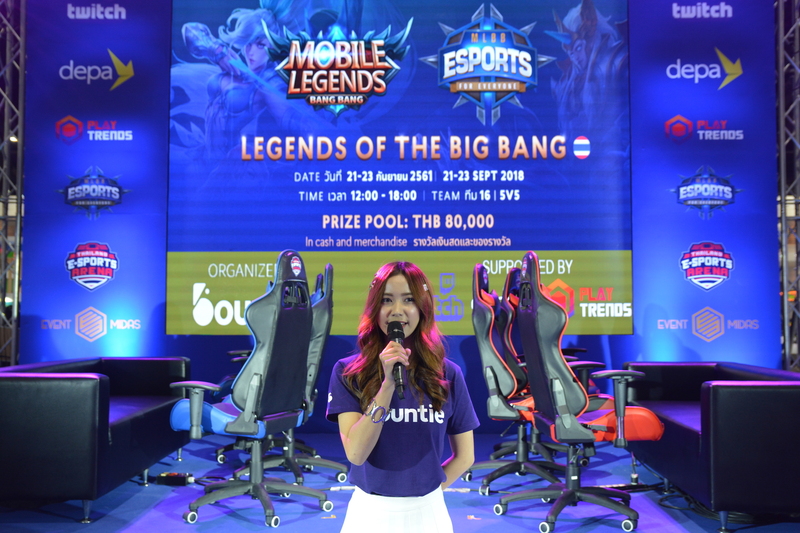 Special thanks to Twitch for sponsoring our merchandise and giveaways, Events Midas for helping us design our booth, as well as PlayTrends, DEPA Thailand, Moonton, IDNS and eSports Arena Thailand! We could not have asked for a better turn-out and are thrilled to finally show you exactly what Bountie is all about! Well, that’s it for today. Remember, guys, Get Paid to Play!